The keynote of this impressive and bold reimagining of the ubiquitous, pretentious boys’ clubs however lies in all of the details. Much of what one will see and feel upon entering The Wing was handmade or thoughtfully curated by some of its most artistically minded members. There are the paintings by Leanne Shapton, ceramics by Isabel Halley, and terrazzo tables crafted by Carly Jo Morgan. Illustrator Joana Avillez created the female figures on the wallpaper in the beauty room. Call it what you want: feminist, fabulous, bold, or powerful. It’s the little things that make The Wing what it is. Gelman and Kassan recruited their friends and their members to contribute their talents to the club because they wanted to express the ethos that collaboration, even in the tiniest ways, can make really strong statements. 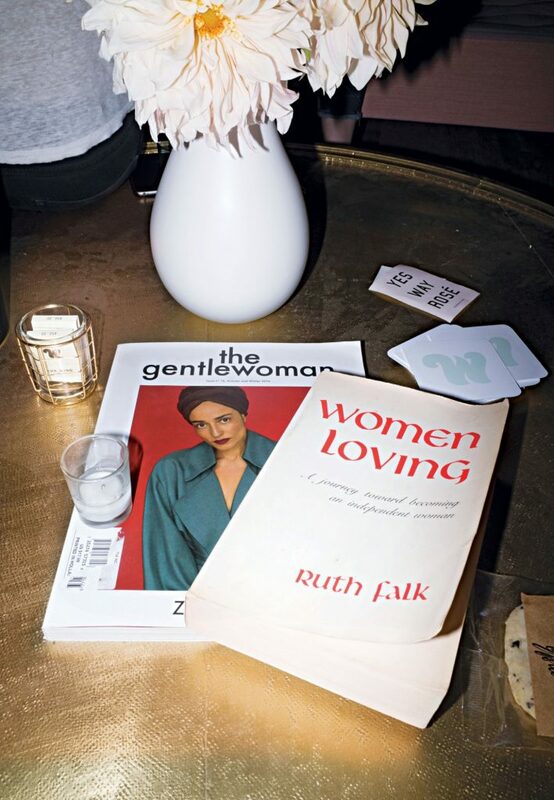 As Shapton says, the women’s club with luminary members and a shiny exterior is really about “finding people who are both politically conscious and active, sympathetic and artistic.” And perfectly at home in the space that they built together—no boys allowed, not even on the bookshelves.